Advanced Arbor has been serving residents and businesses in the Oakland County area for over 15 years. Our commitment to service and our dedication to a job well done is our mission on every job we do, whether a full yard makeovers or a single stump grinding. Our satisfied customers continue to call us for their tree and shrub pruning and maintenance, and our business has grown dramatically through the years due to their referrals. We are full licensed and insured for your protection and assurance. Our skilled and experienced team is able to transform your property into a beautiful vista regardless of how overgrown and unkempt it may appear now. 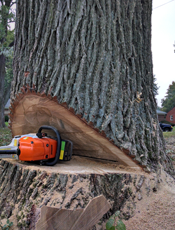 Our specialty is tree trimming and removal, and it often amazes our customers to see the huge difference in their landscape with a few old, barren trees out of the picture. Trimming dead branches from a healthy tree lightens the look as well. Even a good shrub pruning can change the entire appearance of a yard. And, if you’re thinking of selling, remember that how significant that first impression can be, even before going through the front door! At Advanced Arbor Tree Service our goal is to provide exceptional service. From the first contact to the final cleanup, we strive to provide a clean, safe , educational and friendly experience. 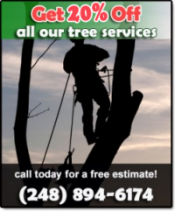 We have been an area leader in tree care and tree removal since we were established in 1998. In an industry where safety is paramount, we have made a commitment to do things right at a affordable cost.